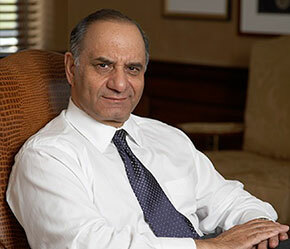 M. Farooq Kathwari, Chairman, President and CEO Ethan Allen Interiors Inc.
Maybe the reason people have been living with Ethan Allen for generations is because Ethan Allen is so easy to live with. Since 1932, we've specialized in creating icons of livable luxury. Those beautifully designed, beautifully crafted classics that become as much a part of your style as that little black dress or favorite pair of jeans. 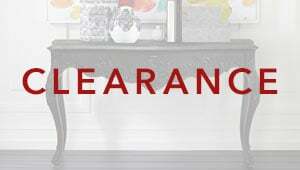 Ethan Allen is much more than a retailer. We also design and build most of what we sell. This allows us to bring you styles you can’t find anywhere else, created with an uncompromised level of craftsmanship and at values that will constantly surprise you. So welcome to an experience like no other. 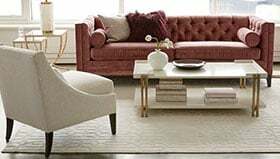 Here at EthanAllen.com, and at every Ethan Allen Design Center worldwide, you’ll discover an extensive array of exclusive and eclectic fashions for the home. Not to mention virtually endless ways to personalize your choices through fabrics, finishes, and trims, along with the priceless help of our professional designers, which of course, is always on the house.